Interview with Esther Lynch, ETUC Confederal Secretary: It is only together we can win a better deal for all! It's time for OUR recovery – a pay rise and quality jobs for WOMEN! 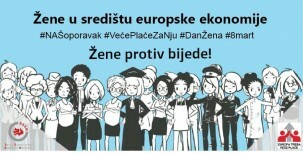 Zagreb, 31 May 2012 - Croatian trade union confederations (UATUC, NHS, MHS, HUS and URSH) sent the initiative for the amendments to the Minimum Wage Act to the Prime Minister Zoran Milanovi? and Minister of Labour and Pension System Mirando Mrsi?. New Government: New hope or old disillusions?